There are numerous physical causes for both male and female infertility. In many cases, the underlying reasons for the unwanted childlessness can be identified through targeted examinations as part of a comprehensive evaluation by a medical specialist. Thanks to a wide range of treatment options in reproductive medicine, the next steps on the way to the desired child can be determined individually. It takes millions of motile sperm to fertilize an oocyte. Only a small proportion of the ejaculated sperm will reach the Fallopian tube. In order for fertilization to happen, the oocyte in the Fallopian tube must be surrounded by several hundred motile sperm cells. As a consequence, if there are not enough motile sperm in the ejaculate, fertilization cannot take place. In most of the cases, the underlying cause cannot be explained by a lack of hormones alone. An insufficient number of motile sperm is frequently due to testicular disorders which are not easy to treat. Their diagnosis requires special examinations. The vas deferens which are essential for the transport of the sperm cells from the testis via the urethra into the uterus can be obstructed due to a variety of causes such as, for example, inflammations, genetic disorders, vasectomy. 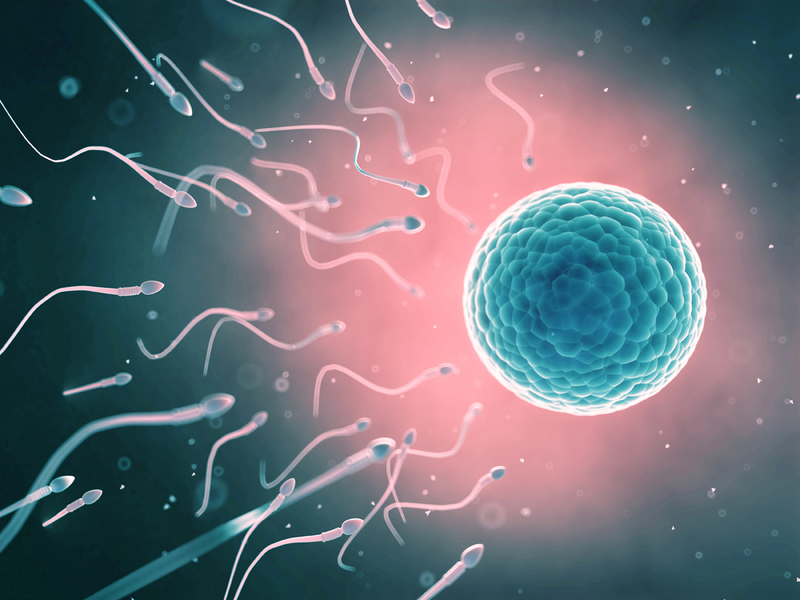 The complete lack of sperm cells in the ejaculate is called azoospermia. The absence of sperm can primarily be due to a blockage of the vas deferens (see above), or it can be attributed to testicle inflammations leading to the destruction of progenitor cells (e.g. mumps during adolescence). Patients affected by malignant diseases are in need of individual therapies, e.g. radical surgeries and/or chemotherapies and/or irradiations. Any of these treatments may lead to permanent sterility, since they may irretrievably impair sperm production in the testes.